The name of Gothenburg-based quintet AGRIMONIA will reverberate through the masses throughout the coming months as their third LP, and first for Southern Lord, is subject to be released onto the masses in May. 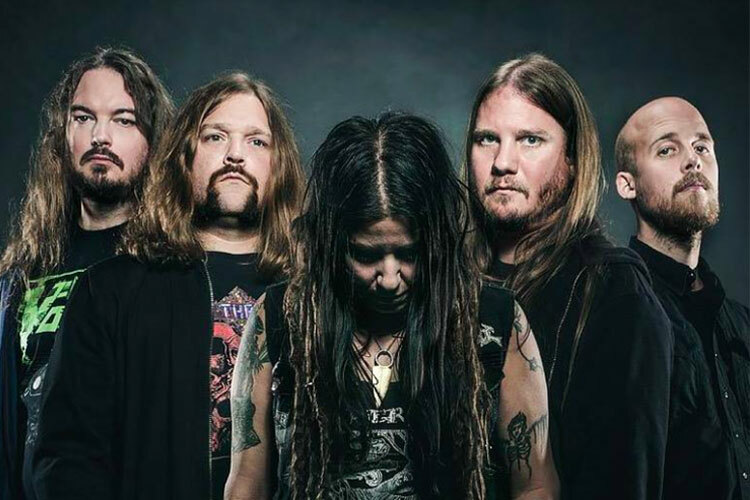 AGRIMONIA has lead a fruitful existence since their 2005 foundation, a steady diet of live appearances and European tours being an immediate part of the band’s ethos from day one, the ranks of the band featuring members of other notable Swedish infiltrators including Martyrdöd, Skitsystem, At the Gates and others. Their initial recording – a massive nearly hour-long undertaking — spread through the post-rock and crust legions, eventually seeing official release on European label Skuld Releases. Following their follow-up LP – the 2010-released Host Of The Winged, released again via Skuld alongside a CD release on US crust/punk mainstays Profane Existence – the band traversed on American and Mexican soil for the first time with a brief but rampant West Coast North American tour. Having signed with Southern Lord mid-2012, AGRIMONIA bunkered into the studio over the turn of the year to record their label debut Rites Of Separation, the final product then mixed by mastermind Fredrik Nordstrom at infamous Studio Fredman (At The Gates, Opeth, Arch Enemy). With just seconds short of a full hour of material harnessed, the completed recordings boast the most mammoth and varied sounds in the band’s already diversified and expansive sound, their bustling slow-motion post-rock builds displayed with the most epic refinement. The band’s unconcealed crust-punk ethos and scathing elements shine through the pristine devastation, with elements of Summoning, Damad, Pelican, Opeth, Crisis, Bolt Thrower, Nausea and countless more shining within AGRIMONIA’s crushing, poignant and unique new LP.